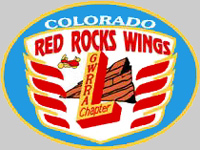 Welcome to RedRocksWings.org, home of Colorado Chapter "L" of the Gold Wing Road Riders Association (GWRRA). We're happily situated to the west of Denver in beautiful Lakewood Colorado. 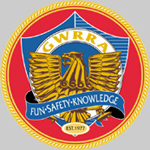 GWRRA is an informal, educational, non-restrictive, fun social organization created for the education, pleasure, recreation, safety, exchange of information, coordination of common motorcycle efforts, promotion of camaraderie and friendship of its members and Chapters. It is an organization for all interested individuals with primary emphasis on owners and riders of Honda Gold Wing and Valkyrie motorcycles. Chapter L is a part of the Colorado District and Region F of the GWRRA structure. When you find yourself near Lakewood Colorado or anywhere in the Denver metropolitan area, join us for one of our monthly gatherings or a few of our many group rides; everybody is always welcome. Chapter L meets the first Monday of the month at 7:00pm at the Clements Community Center (1580 Yarrow Lakewood, CO), where we are truly "Friends, for Fun, Safety, and Knowledge".